Housed within the walls of the innovative I.M. Pei designed school in North Dallas is more than 12,000 square feet of “maker space” for STEM and innovative designs and thinking, and many leading educators are taking notice. These spaces have been turning heads and creating discussions in public and Independent schools nationwide, and many administrators are taking time to travel to Parish Episcopal School in Dallas to see these spaces in action and bring ideas back to their own schools. From the CEO of the National Math and Science initiative to leaders of top independent schools, Parish is excited to share these facilities and discuss future ideas. The emphasis that Parish Episcopal School puts on STEM – Science, Technology, Engineering and Math - provides inspiration and resources for all students in PreK – 12th grade, and the three spaces they have dedicated reinforce their commitment to this initiative. In the fall of 2013, Parish celebrated the opening of its hands-on, learning kitchen – The Fleeger Family Kitchen. As part of the Beasley STEM Center, the kitchen serves every Hillcrest campus student (PreK – 2nd grade) in their daily learning experiences. Their traditional disciplines are combined with creativity, collaboration and critical thinking skills in the technologically enhanced facility. The Nausler Family Garden, also a part of the Beasley STEM Center, opened in the spring of 2014. 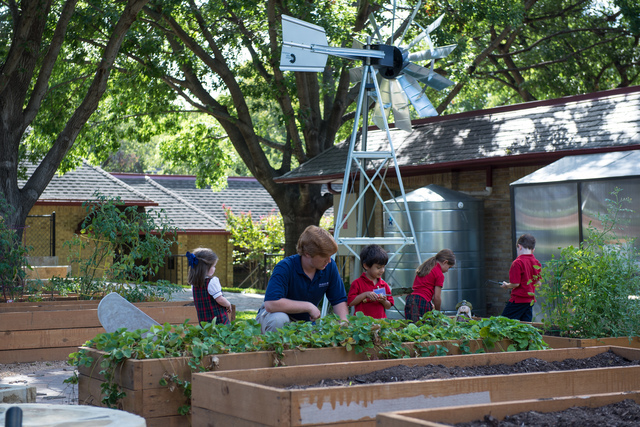 The garden offers an environmental testing ground for seeds, sunlight and plants which yield useable fruits and vegetables, planted and tended by PreK – 2nd grade students. In the awe-inspiring Design Den, Upper School and Middle School students can work toward building an entry in the NASA Human Exploration Rover Challenge, qualifying for regionals in the FIRST® LEGO® League robotics competition or reaching the semifinals of the Dallas BEST™ robotics tournament. 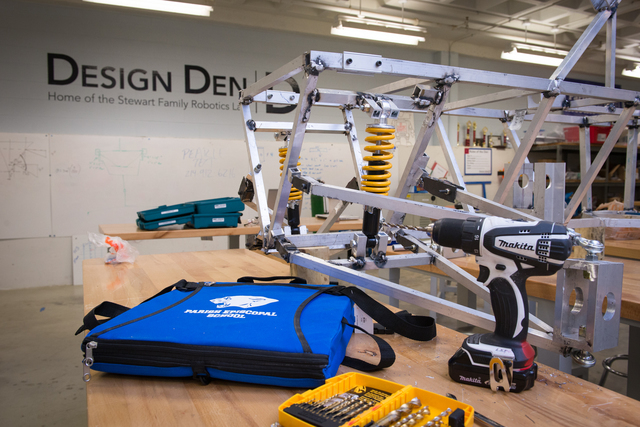 The Design Den is equipped with a welding shed, 3D printer, a new ShopBot CNC Router for prototypes, and countless materials and tools for student use. When students became more invested and involved in the classes offered in these spaces, Parish built a third space to meet the increasing demand for STEM programs – the Little Den on the lower level of the Midway campus. As STEM initiatives are implemented in many schools nationwide, Parish developed a program for their earliest learners to develop a solid foundation. This forward thinking model was created to prepare their students who are looking to gain the competitive edge needed in today’s technologically driven world. STEM is embedded across all divisions providing what the school describes as “more opportunities for relevant hands-on applications, ensuring that Parish graduates will be the innovative doctors, scientists, engineers and entrepreneurs of the 21st century.” When Parish looked to expand its programs, it turned toward Stanford University's Hasso Plattner Institute of Design, which has been recognized for introducing the problem-solving concept known as "design-thinking" to educators and students. Dave Monaco, Parish’s Allen Meyer Family Head of School, has a solid commitment to the learning philosophies implemented at Parish and affords Parish’s faculty to visit places such as Stanford, Georgia Tech’s Invention Studio and the Oshman Engineering Design Kitchen at Rice University to further their own strategies for implementing STEM-thinking throughout the Parish curriculum, and not just in STEM-based classes. The design-thinking, maker-space programs weave together traditional classroom learning with hands-on curiosity. Students working in the Parish, Inc. class, which gives Middle School students an opportunity to develop business plans, work on product prototypes to take to market. 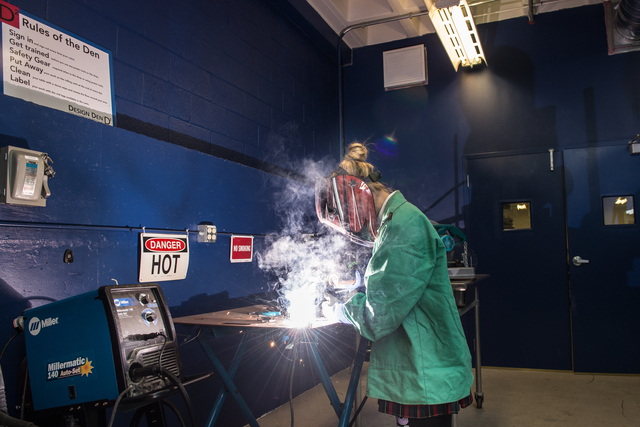 Art students use the welding shed for metal sculptures, and aspiring fashion designers use the space to sew fabrics and create costumes. In the Little Den, 3rd graders have been building the obstacles for their miniature golf course holes. After designing the obstacles, they have been in the shop using the band saws and drill/screw drivers. With design thinking, potential solutions of products, processes or services can take the form of brainstorming sessions, making model prototypes using simple materials like white boards, markers or computers, and ideas can be adjusted quickly based on group feedback. Parish continues to develop new tools and spaces to stay steps ahead of the ever changing STEM landscape, and to be innovative to ensure the positive future of STEM education. It’s Monaco’s goal that Parish students have a front row seat to that future, and he looks forward to welcoming many more visitors to tour the STEM facilities this year. Parish Episcopal School is a college-preparatory school for prekindergarten students through 12th grade.